The more I hear about the new Glass House show, the cheesier it sounds. This information is fresh from the ABC website. Get ready to influence a TV show like never before! power over what happens to the players. that put you in control. Live voting begins on June 9th. Live streaming begins on June 11th. So to answer the questions that many inquiring minds have wanted to know, the live internet streams will only be available at selected times throughout the week. I guess that will give producers the ability to create storylines without worrying about live feeders disputing the facts, or spoiling upcoming surprises. And the cast members can probably put on a much better show if they know they are only live for 6 hours each week. Maybe they will even have professional hair and makeup? There are going to be only 10 episodes of the show aired on ABC, so I guess it will air only once per week. I heard that there were videos online of the contestants, but I haven't been able to find them yet. I'm guessing that it is a mad cluster behind-the-scenes as they countdown to the June 18th premiere. Get a load of a commercial for The Glass House. It looks kind of like the Red Shoe Diaries. I wonder how many "real people" will be cast for the show? Here is some FAQ info from the ABC website. When the show begins, fourteen people are living in a house together, participating in challenges - with America making the decisions about what happens in the house. Each week there will be somebody eliminated from the house. The winner is the last person left in the house - as voted on by you, the public! What are the decisions that America makes to effect what happens in the house? America will have the opportunity to vote on a variety of things relating to the house. 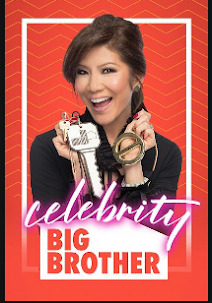 Not only will the public ultimately decide who stays or goes, but it will also influence other show elements like including what the houseguests wear, where they sleep, what they eat, and who gets another shot at the game. How does a player on the show get removed from the house? After losing a challenge, the team captain of the losing team goes to "limbo" - along with another member from the losing team that the house votes on. Limbo is where two people from the house go after losing a challenge. It's an area outside of the house where the two people go until one of them is allowed to return to the house. How are the captains for the challenges determined? The two people with the fewest votes from the public become team captains for that week's challenge. How does somebody return to the house from limbo? America chooses who they think deserves to return to the house. All the power is in the public's hands. What happens to the person who America doesn't choose to return to the house? That person is out of the game permanently.